As I sit here in one of the finest Provence vacation rentals that I have found in recent years, my thoughts have turned to the south of France and which parts of it I love the most. I’ll come right out and say it, there is nowhere on the southern tip of France that I don’t like and as such it is pretty hard to choose which are my favorites. With this being said, I was asked by a friend recently, which destination he should choose on his trip later this year to the south of France and that is what I intend to answer for you today. The idea of picking a favorite is simply not possible, there is something down here for everyone, for every budget and for every style of vacation that you could be looking for. With that in mind I thought it best to simply present to you what I think are the best destinations in the south of France and then let you choose for yourself which one you should visit when you get the chance, and I will telling my buddy the exact same thing. Without further ado then, here are what I think are the best destinations in the south of France. I should probably start with what is right in front of my nose, Provence, the place that keeps pulling me back to it year after year and every time I come I experience something different. If you are looking for a region with historical significance, sheer romance and sun kissed beaches then Provence will be the place for you. There is much to see in this region for any type of discerning tourist, from the quiet harbor of Cassis, the religious center of Avignon, Gordes, the village that is regularly voted as the most beautiful in France to Porquerolles, the jewel in the crown of Provence which offers sandy beaches and clifftop views. If you want to explore the south of France then my recommendation is that you should sat right here. The first location in most people’s heads when they think about the south of France is Nice and in all honesty, I echo there sentiments entirely. Over 3 million people head to Nice each year and when you visit you will understand why, it sort of reminds me of Miami with its wide avenues, trendy beaches, glitzy tourists and beautiful cars rolling by. One difference that I think Nice has from Miami is that it is drenched in far more history and culture. Aside form sunning yourself on the sandy beaches of Nice you can also go to see the large collection of Matisse paintings in the gallery, visit the Russian Cathedral and if you are there at the right time you could witness the World’s best jazz musicians descending on Nice for its annual festival, a stage which has been occupied in the past by none other than Miles Davis, Ella Fitzgerald and Dizzy Gillespie to name just a few. Because of its status, I almost didn’t want to fall in love with St. Tropez quite in the way that I have but it is undeniable, the place is classy, elegant, beautiful and very ‘happening’. 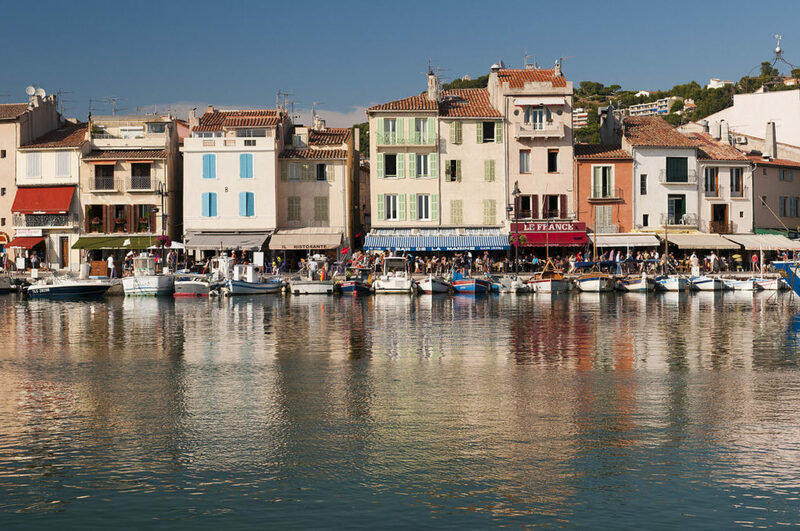 Whilst the rich and the famous do call this southern French destination their playground, there is also a lot to see and do for us lesser mortals and traveling to St. Tropez really doesn’t have to cost the Earth. There is a great deal of money in this place however and whilst on the face of it, the town looks like a quiet fishing village, it is only once you look a bit closer at the fisherman’s houses and realize that they are indeed boutique Prada shops that you realize the stature which this once quiet place now has. The restaurant prices are pretty reasonable here and somewhat strangely the most expensive item you will probably buy will be the ticket that gains you access to a private beach. Here in St. Tropez you will be able to lounge by the -highly expensive- beach all day, take a walk along the promenade and ogle at the super yachts before getting dressed up and hitting the town on an evening, the food is great, the clubs are lively and who knows, you just might spot a celeb or two! So here we are, I have eventually withheld down my favorite places in the south of France to just 3, I have begrudgingly ignored Monaco, Cannes and Marseille ( 3 very nice places ) in favor of destinations where I have fallen in love with just a little more. Wherever you choose to go in the south of France I can assure you that you most certainly will not be disappointed and if you are anything like me, you will be back year after year.